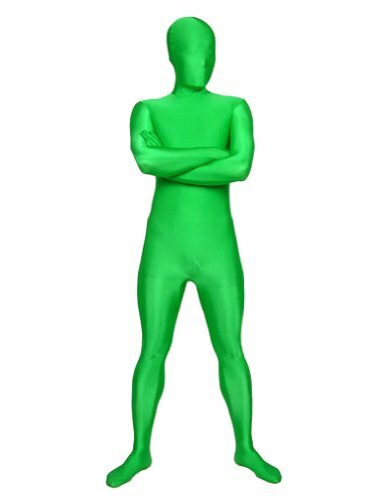 Are you a die hard sports fan and want to show your team spirit want to be the center of attention at any event instantly SecondSkin is a skin tight suit that covers the entire body. It originated from the Japanese term zentai. SecondSkin is made using lycra and spandex blends. It has a zipper in the back going from the base of the spine up to the center of the back of the head. They are super stretchy to fit most builds. SecondSkin comes in multiple sizes and colors including kids sizes. The skin tight feeling of SecondSkin gives you an instant second identity that brings excitement. Each suit will instantly transform you into a new person secondskin is lightweight and breathable. You can easily unzipper just the head without having to remove the entire suit. Available in the following sizes: kids small - 3'6 - 3'11 (6-8 years old)kids medium - 4'0 - 4'5 (8-10 years old)kids large - 4'6 - 4'11 (12+ years old)xxs - 5'0 - 5'4 - (90 - 120lbs)xs - 5'5 - 5'7 - (120 - 160lbs)s - 5'7 - 5'9 - (130 - 170lbs)m - 5'9 - 5'11 - (140 - 190lbs)l - 5'11 - 6'3 (160 - 210+lbs)xl - 6'3 - 6'7 (180 - 230+lbs)when ordering, we recommend you choose your size based on your height. If you feel you exceed the weight range then you may want to go up in size. This listing is for adult sizes. If you are looking for kids sizes, please do a simple search for SecondSkin kids to see our kids sizes.